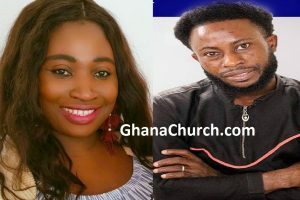 Report reaching GhanaSky.com through “David Oghene” shows that Pastor Chris went to meet Prophet TB Joshua and validate his ministry, and after that he started praying like TB Joshua when he minister to the sick. According to GhanaSky.com analyst, Pastor Godswill Agomah Paul said Prophet TB Joshua Deceived Pastor Chris of Christ Embassy. Interview with Flip TV, Bishop Kayode Peller (son of the late renowned magician, Professor Peller) said ” What I see Temitope Joshua do from my own magic experience is what we called ‘mesmerism’. It is also called ‘hypnotism’. 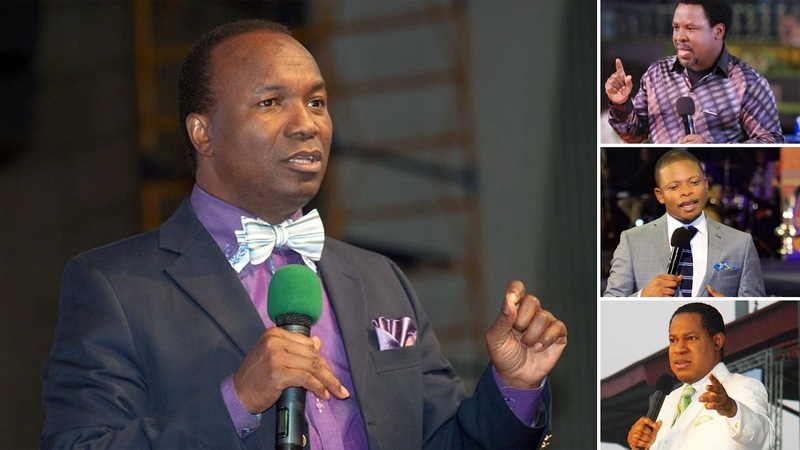 Pastor Sunday Adelaja Exposes Pastor Chris & TB Joshua With Evidence, They are FAKE!! “Pastor Chris Oyakhilome And TB Joshua are Fake Pastors claims another Nigerian pastor , he says they are using Witchcraft. Pastor Godswill Agomah Paul, the former second-in-command to Pastor T.B Joshua, the General Overseer of the Synagogue Church of All Nations had with Nigerian Magazine-Life Way. In this issue, Pastor Godswill talks about how Pastor Joshua virtually deceived the Head Pastor of the Christ Embassy Church, Pastor Chris Oyakhilome to worship with him at the Synagogue at a time that the Synagogue Church Head Pastor (T.B. Joshua) had been rejected and ostracized by the Pentecostal Fellowship of Nigeria (PFN). According to Pastor Godswill, the PFN had never believed in the Pastoral capabilities of T.B Joshua and therefore would not accept him into its old, until he (Pastor Joshua) proved that he is genuine Pastor. Therefore the Joshua fellowship with Pastor Chris, Pastor Godswill said was orchestrated by the Synagogue head Pastor to send the information out to Nigerians that even Pastor Chris has approved and validated his Pastoral credentials. So what is this noise about Joshua and Oyakhilome?, the Life Way magazine posed. …”It is very necessary because Chris Oyahkhilome validated Joshua. Before he came to the Synagogue, we were battling with how to win the affirmation of other Pentecostal ministers. The ministers coming then (to the Synagogue Church) were those from spiritual churches like the Celestial Church. No genuine Pentecostal/ Charismatic ministers came. When T.D Jakes was visiting Nigeria, he sent a letter to the PFN that they should explain to him who Joshua was otherwise he would visit him as he had heard a lot about him. PFN replied that Joshua was not a Christian, and therefore not a member of the association. That pained Joshua and he decided that the way out was to punch a hole in their rank”. The call went through and he requested to speak with Oyakhilome. He flattered him, told him how impressed he was with his programme and the healings and miracles. At the end of the conversation, Oyakhilome promised to visit the Synagogue”. According to Pastor Godswill, “Immediately, he told us to get all the journalists on our pay roll and instructed the visitor’s coordinating zone to fix cameras everywhere even outside the gate so that if Oyakhilome gets only as far as the gate the visit would be captured. That was what we did. The journalists were briefed. And they were told what they would write and release to Nigerians. The day was a fun fare; Joshua took Oyakhilome to every part of the Synagogue. Afterwards, Oyakhilome drove Joshua to the old sit. What happened there I was not privy to. By the way, we gave different conflicting stories to the journalists so that there will be confusion in the minds of the readers. Every story you read about that incident was given to the journalists by us”. In reality the man only had multiple sclerosis that sometimes made him fall at any time. That was why he went around in wheelchair to prevent accidents that could cost him fall at any time. The man was reported to be crippled and Joshua invited Pastor Chris to pray for him”. “ Now when Joshua wanted to transfer power to his disciples he would put his hands on their back. That was exactly what he did to Oyahkhilome. So if you watch the video of power transfer to the disciples and that of Oyahkhilome there is no difference. It was deliberate. By the way the man walked the same way he would normally walk“, Pastor Godswill revealed. It was deliberate; that automatically put Oyahkhilome in the ranks of the junior prophets while he (Joshua) stood by as the leader and supervisor. Immediately after Oyahkhilome’s visit Pentecostal Pastors began to come to the Synagogue”. We used those hand and leg movements with deep penetrating gaze to control the human body. Sometimes when a person was falling and we observed he could injure himself, we could move the person either from falling away from any dangerous object with our mind. It’s pure hypnotism”. “ I can say that I was personally initiated but I cannot speak for others because, I cannot say since I was not there. But the much that I was privy to, I have divulged”, adding, “was initiated in that shrine. We call it mountain. Every one of the junior prophets has a personal hut in that shrine. We don’t call it shrine; we call it mountains, just like every other church consecrates a particular place as their prayer mountain”. He again revealed that “there is a general place where other members can camp but there is also a special place where only Joshua could go. Next to Joshua were late Prophet Benson and myself. Only the two of us were initiated and given access to the first level of spiritual operation. He told us he had ten levels, but we only got as far as the first level”.